..the one-armed scissor, cut away, cut away. 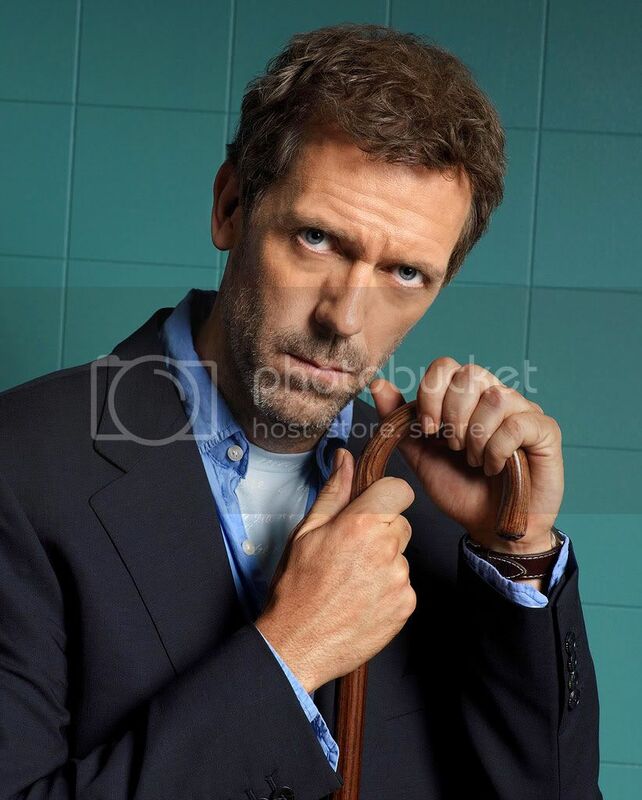 I am secretly in love with Hugh Laurie. 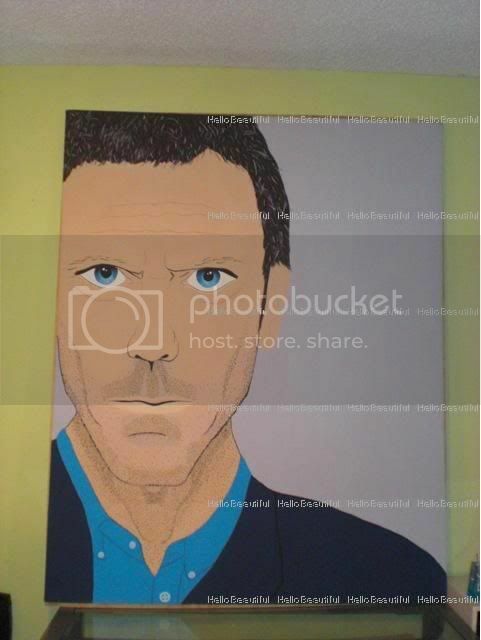 Not only Hugh Laurie, but his character in House MD, Dr. Gregory House. I started this painting a while ago, and just got around to finishing it. It's acrylics on a canvas I stretched myself which is about 5ftx4ft. I'm not sure if I'm too happy with this project. 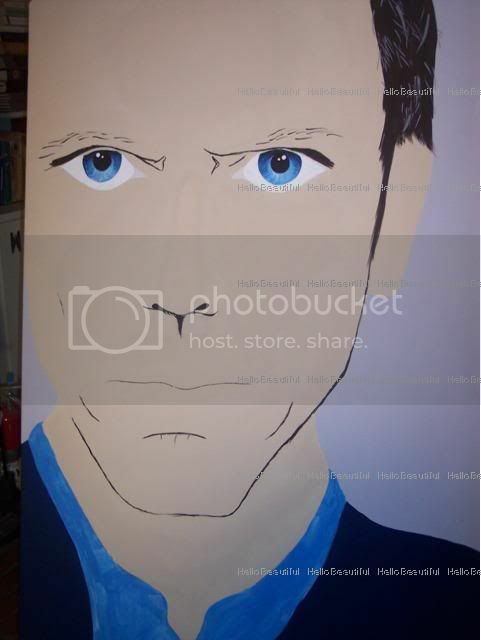 I've been working on it for so long, that I can't tell if it actually looks like him or not. I would love to hear everyone's opinions/comments/critiques. Looks like him to me... I love that show! It looks like him. Absolutely. You did a great job! WOW, that is so amazing!! My boyfriend would LOOVEE this!!!! Thanks so much vwluvervw and Jenicat! I was worried people wouldn't recognize him. I knew who it was just from the small pic on the front page so i say good job! He is a nice piece of eye candy. Good job! 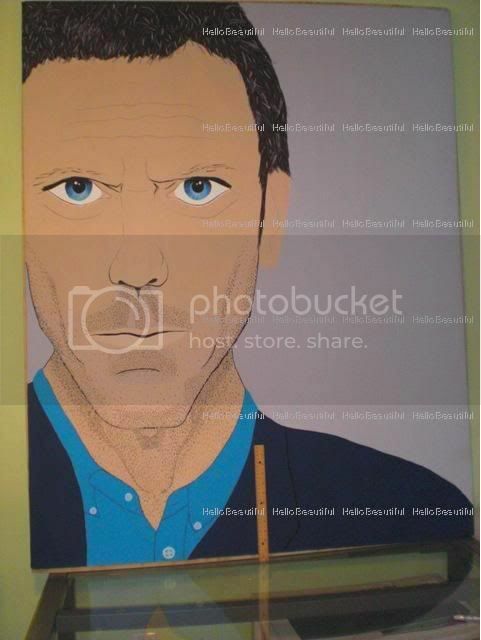 You did a great job, it totally looks like him! I'm secretly in love with him too, so we have to share . it may not be a perfect likeness, but it's pretty darn close! Anyone who could recognize Huge Laurie would know it was him. Nice job! Thanks so much for the positive feed back zlimone! I think I could maybe share him with you Seraphina_de_Sangre haha. KasmiraGypsy - I think he's the most gorgeous older man I've ever seen! So I'd definitely say you captured him good! Who needs stumble, when there's this!